In October 2018, the Australian Law reform Commission commenced a ‘Review of the Family Law System’. One of the proposed recommendations is that the Family Law Act 1975 (Cth) should be amended to require parties to attempt family dispute resolution prior to lodging a court application for property and financial matters. In preparation for possible reforms, the Mediator Training Academy is conducting a one day online course in relation to mediating property and financial matters in family dispute resolution (FDR). The workshop is aimed at teaching FDR Practitioners (FDRPs) and NMAS accredited mediators the skills to work with property and financial matters within a family law environment and facilitating dispute resolution in this context. 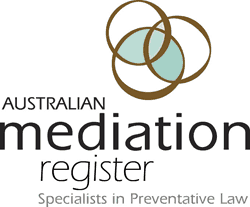 Enrolments are now being finalised for our (completely) online and self paced qualifications for February 2019 intake for those who want to become Family Dispute Resolution Practitioners. All of our qualifications are completely online and self-paced. 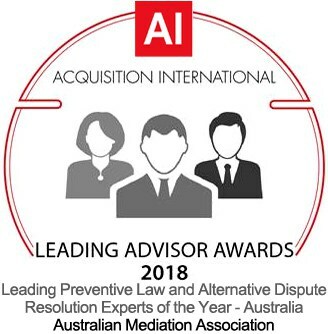 This allows all of our professional clientele to complete their requirements anywhere in the world, and, in the most expedient and convenient manner available, with the most highly trained teachers and assessors in Australia. Please see our Academic Advisory Board.